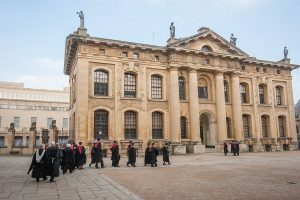 The Principal, a number of Fellows of the College and invited guests joined Professor Garnett in a procession from St Hugh’s College to the Sheldonian Theatre for the ceremony. 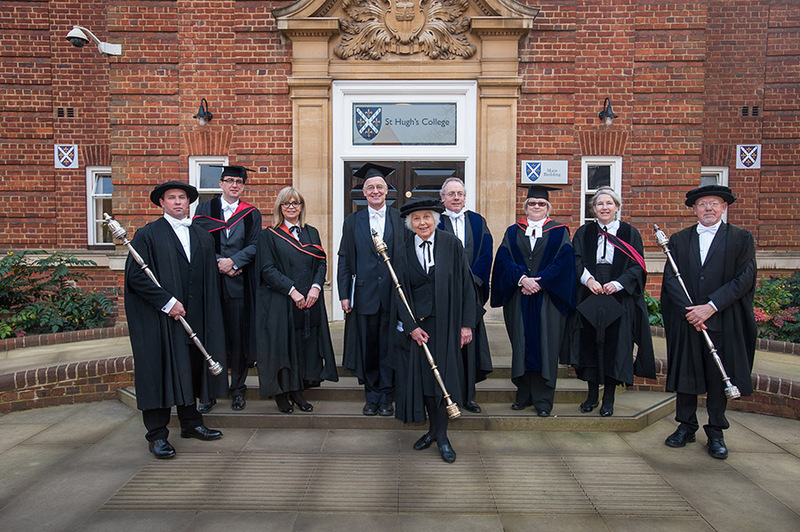 Dr Jon Parkin, Tutorial Fellow in History at St Hugh’s and Dr Jane Garnett, Tutorial Fellow in Modern History at Wadham College, accompanied Professor Garnett as his Pro Proctors. The office of Proctor is an ancient position, much older than of Vice-Chancellor. There have been two in post simultaneously, for a joint tenure of one year, since the thirteenth century. All the Colleges take turns to elect Proctors (and since the 1960s a third officer, the Assessor, so-called because the Assessor sits with the Proctors). 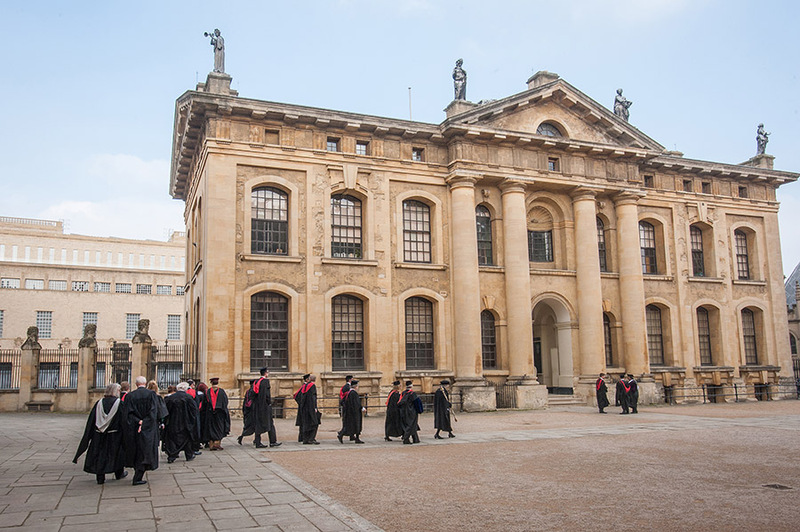 The Proctors’ role is to ensure that the University operates in accordance with its Statutes, and they represent the Colleges in the central councils and counsels of the University. They are also responsible for undergraduate and postgraduate discipline, for dealing with complaints about University matters, for the running of University examinations, and for the conduct of University ceremonies, including admission to degrees. In addition, the Assessor takes a particular interest in student welfare and finance. The ceremony, conducted in Latin, concluded at the Clarendon Arch where each Proctor in turn asked the Vice-Chancellor for ‘Watch and Ward’ (meaning the duty of patrolling the city to prevent junior members of the University from committing misdemeanours), before the Senior Proctor procession returned to St Hugh’s for a celebratory lunch. 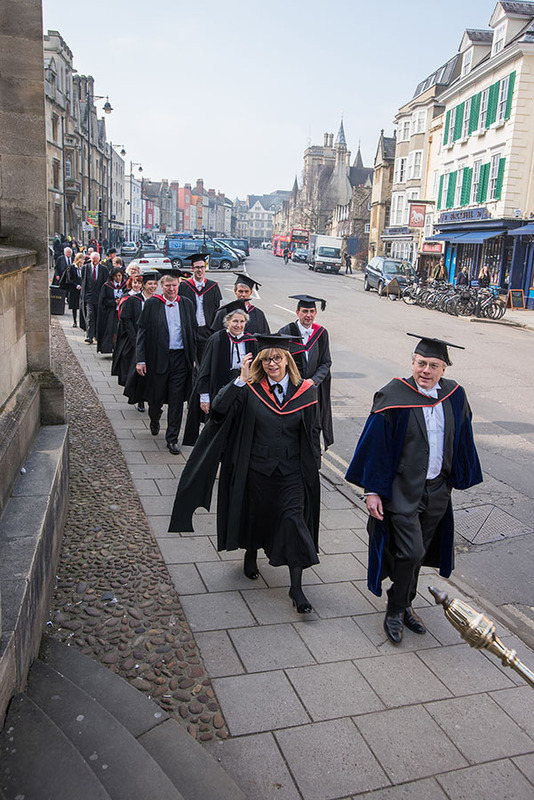 More images of the procession are available on our Facebook page (images by John Cairns Photography).